this dramatic ceiling feature a playful edge. 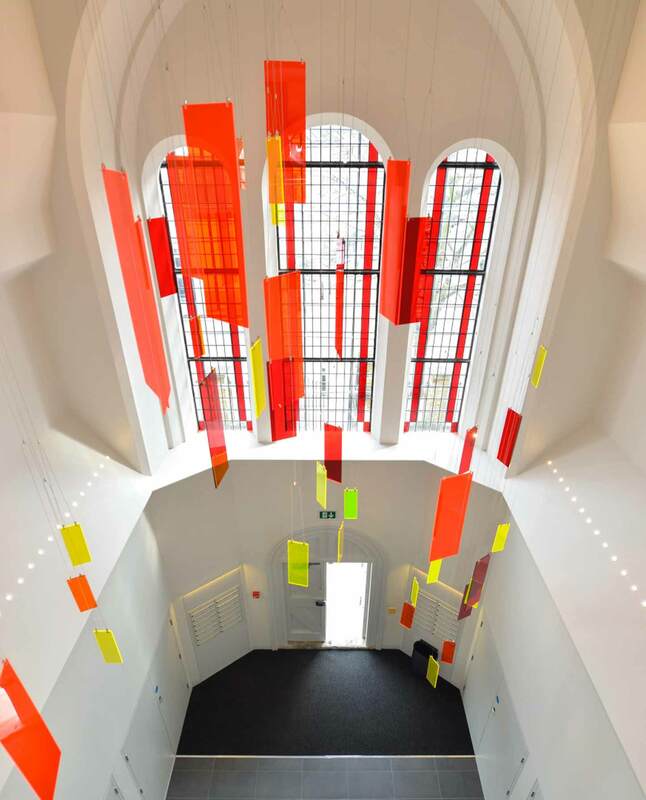 Set over six floors within a listed 1830s converted church, the new apartment complex at St Peters Court contains a unique entrance hallway with ornate stained glass windows and beautiful vaulted ceilings. We were commissioned to create a one-of-a-kind lighting feature that would hang dramatically above this entrance, just inside the arched stone doorway. 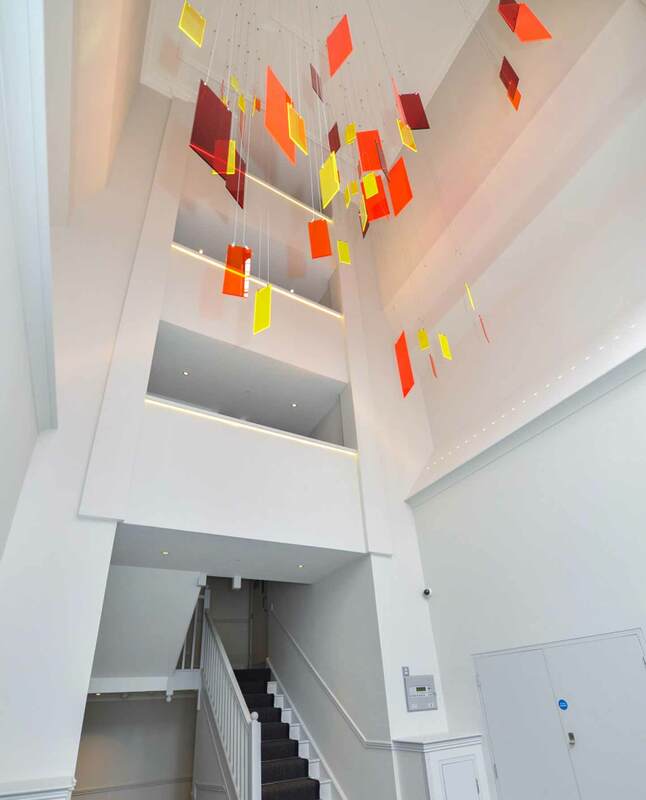 The unique, imposing chandelier we designed comprises coloured perspex rectangles suspended on wires over the entranceway. 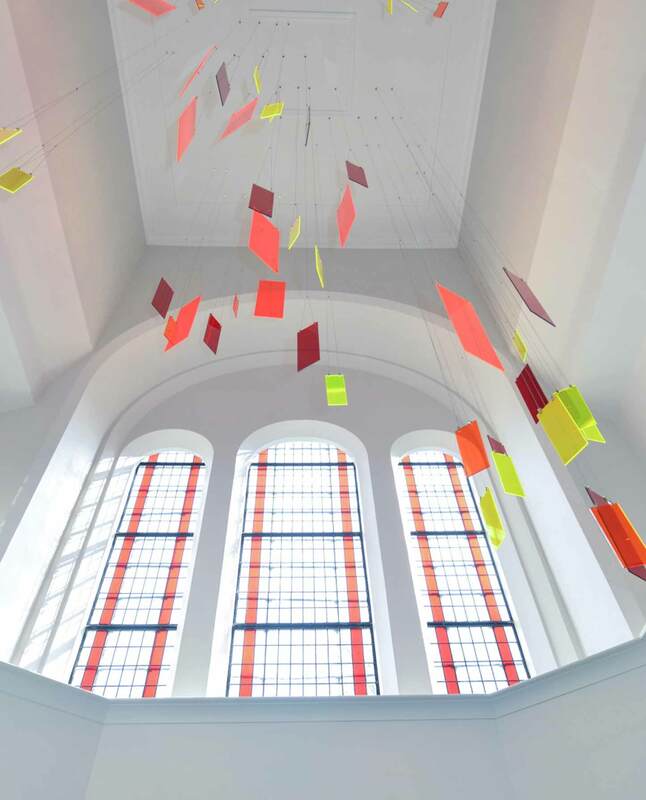 The colour palette consists of variations of red, orange and yellow – to reflect the tones of the building’s stained glass windows. Dichroic film was added to some of the perspex to create a playful kaleidoscopic impression that works both in daylight and at night, and “live edges” were also cut into the material for a similar effect. To achieve as much reflection and sparkle as possible, we added multiple small spotlights (rather than a few large ones) to the fixture.